Penny, I am so grateful for the fantastic job you did with make-up for myself and my four bridesmaids. You were fabulous and my makeup was perfect. I don’t have the best skin usually but you made my skin flawless, looking back at my photos I am so impressed. You did my makeup exactly how I wanted and it felt so natural, suiting my colouring and just how we discussed during the trial. 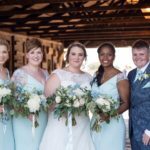 My bridesmaids were also all so impressed – you managed to do makeup that suited each of them individually with their different skin tones and they all looked stunning. Furthermore, the makeup lasted so well throughout the day and looked the same in the evening as it did in the morning. I was so pleased. Your communication was absolutely fantastic from the very first message right through to the day, and you arrived on time, prepared and used high quality, premium makeup. I also really appreciate how friendly and kind you were, you made me feel really relaxed and helped to calm my nerves on the big day. Once again, thank you so much, I am so glad I found your website and contacted you – I wouldn’t have changed a thing – you were fantastic throughout. I booked an appointment with Penny for a makeup tutorial. I have always suffered with break outs whenever I try new products and have been too nervous to try anything new. I also wanted some impartial advice, as most counters/shops you go to only try and sell you their product. Penny made me feel very welcome from the moment I arrived. She asked me about what I was wanting from the session and she listened to my concerns and had some great advice. First of all she talked me through what she was going to do, then she applied the make up for me, talking me through what she was doing as she went and checking I was happy with it. We then took it all off and I had a go! This was really useful as I could see what I was doing and ask if I was doing it correctly at each step. I was so delighted with the results. I have never managed to get my eyes right and they looked amazing when I had finished. We tried a couple of different looks and I now feel happy to do this myself. It was lovely to be told about products from all price brackets, which then makes it more achievable. You can then pick and choose what you want to spend your money on. I had a lovely email outlining everything we discussed with a detailed product list. Thank you so much Penny, I wouldn’t hesitate in recommending you to anybody. Penny was amazing from start to finish. She communicated quickly via email to make sure I had everything booked that I would need for my day. I visited her studio for a hair and makeup trial. She listened to what I wanted but also gave me some great advice. I liked the fact that Penny didn’t use one particular makeup brand but a range to compliment my skin. On the day, she arrived promptly to start on my bridesmaids’ hair. 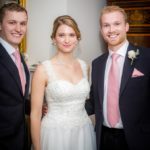 She was chatty, bubbly and involved herself in the morning’s antics, helping to facilitate the relaxed atmosphere I wanted on the morning of my wedding. 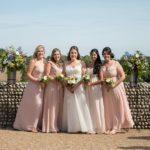 Despite not doing a trial on the bridesmaids, she was fantastic at bringing together their ideas and created each of their looks with ease. She was also happy to chat about their makeup and how best to apply it. I was so happy with how my hair and makeup came out. They lasted all day and I felt so comfortable with both. The airbrush foundation was incredible! I would certainly recommend booking Penny if you need a makeup or hair stylist – well priced and outstanding service. Penny was burdened with the task of doing the wedding hair for myself, my mum and five bridesmaids, as well as my Mum’s make up, and all before 10.30am. And what an amazing job she did! Penny was great throughout the whole process – organised, responsive, her lovely studio is a great place for a trial and she’s a lovely person to work with. Your wedding morning is so important, and it’s important to choose the right people to spend it with. Penny was kind and funny and accommodating to all our requests. I highly recommend you choose her to spend the morning with you. 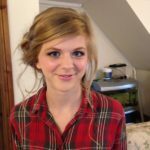 I went for my hair and makeup trial with Penny a few weeks before my wedding on 1st June, with my Mum and one of my bridesmaids. We were all instantly impressed with Penny and how easily she could re-create a look just by looking at a photo! She was able to answer any queries I had and gave me some invaluable advice along the way. Penny was such a delight to be around on my wedding morning. She arrived exactly when she said she would, she was so calm and friendly amongst the chaos of the morning and did such a wonderful job with my hair and make-up along with my mum’s, and two of my bridesmaids! Thank you also to Chloe who came along to help out on the day, you both did such a wonderful job. My makeup looked fresh and my hair stayed put all day long, I cannot recommend Blush! highly enough. Thank you so much! I found Penny whilst Googling makeup artists in East Sussex and I was instantly drawn to her beautiful and professional website. She was quick to respond and very friendly, so I soon decided to book her to do mine and my mum’s hair and makeup for my wedding. Penny was very helpful, educating me about airbrushing and was very keen to work with my ideas and style but add in her own unique flare. She is funny, talented and very easy to get along with; she did a stunning job and I have never felt more beautiful! Thank you, Penny, for being an important part of our special day. I first met Penny a few years ago when she did hair and makeup for my best friend’s wedding in Kent. We had done a lot of research online when we found Penny, so when it came to my wedding, which was also in Kent, I knew I didn’t need to do the research again. I went straight to Penny to book her as I couldn’t imagine anyone else doing my makeup and hair for our big day. 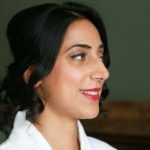 I booked a trial ahead of the wedding which allows you to try different makeup and hair styles. It was really important to me that the makeup artist understood the look I wanted but also that they made you feel comfortable as they are very involved in the getting ready process. Penny is not only professional and precise, but friendly and calm, and it felt like having a close friend there on the day. The makeup was incredible for myself as well as my bridesmaids and mum. As there were five of us Penny brought Chloe with her who also did an amazing job on the bridesmaids and flower girl’s hair. Both Penny and Chloe kept us all calm and were the perfect addition to the morning of the wedding. The prices are very reasonable and worth every penny! I would highly recommend using Penny for your wedding, you won’t be disappointed. My sincere thanks to Penny and Chloe for all their hard work and for making us look amazing. I have just returned from our honeymoon and I want to say a massive thank you to you for the miracles you performed on my wedding day. I have had a sneaky peak at some of my professional shots and you actually made me look pretty. Being very self-critical I rarely like shots of myself and I am not a fan of having hair and makeup done. You even changed my style of hair on the day as I had a change of heart.‎ I LOVED IT ALL. You worked wonders on me and my wedding party and we were all thrilled with the results. I cannot begin to thank you enough. 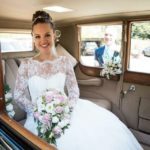 Having been married before you knew that I was let down previously with hair and makeup and always felt very sad seeing my pictures as a result. Now I can’t stop looking at them and not because I am vain. It is simply because I feel very lucky to have found you and for the result you achieved. Massive, massive thanks from all of us, my new husband too as he said I still looked like me. If you are considering booking Penny for your hair and makeup then don’t even give it a second thought, just book in before all of her dates get snapped up! 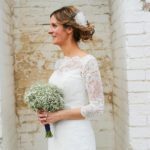 I am not one for having my hair and makeup done so was a bit nervous about the whole process in general prior to my wedding day, but Penny put me at ease from the very start when I went for my trial. Her calm nature and great sense of humour made the whole process great from start to finish. 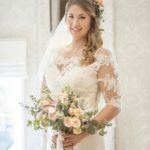 Penny did my hair and makeup on my wedding day along with my four bridesmaids’ hair and the results were wonderful – all of the girls were made up with their hair and I couldn’t believe how pretty she had made me look! We also had a great morning chatting and laughing and it was lovely to have her as part of the day. Thank you so much again, Penny, you’re an absolute star! Amazing Penny, you are a seriously talented lady! Firstly, on my makeup trial you made me feel completely at ease and I couldn’t have come away feeling any better than I did. Then, on the day of the wedding, you made us feel beautiful! We couldn’t have asked for anything more. You knew I wanted a natural look and you made that happen. You are an absolute pleasure to be around and managed to work your magic on a few of us that don’t wear makeup normally. Thank you so much! I booked a two look makeup tutorial with Penny. I’m not a girlie girl but Penny was so lovely and put me at ease straight away. I was shown how to apply a look, then we took it off and she talked me through reapplying it myself. As Penny wasn’t selling any products it was all about what was right for me. Penny looked at my makeup and brushes then made recommendations on products, both high end and high street. I got a list of all the products she used and instructions on how to apply them. It was relaxed, fun and informative and I loved it! Thank you so much Penny. Penny did the makeup for myself, my chief bridesmaid, mother and future mother in law, and we couldn’t have been happier with the results. The trial was really helpful as I had the chance to try out different looks. 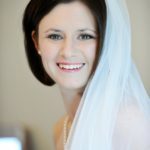 We discussed skin type and Penny recommended cleansers to make sure our skin was looking its best prior to the big day. Penny was friendly and professional, and really helped put us all at ease on the day. My makeup stayed in place all day, and I stayed looking beautiful despite gale force winds and rain. The makeup looked, and felt, very natural, and 3 months on people are still asking me what I did to make my eyelashes so long! My mum and sister also thought she was fabulous and loved their makeup – my mum was absolutely made up with it. My in-laws are from out of town, and Penny drove to my mother in law’s hotel to do her hair and makeup before driving to me, which was a massive help as I was panicking about having to make double the arrangements for everyone. I cannot rate Penny highly enough and wouldn’t hesitate to recommend her. Penny did a fabulous job on hair and makeup for my prom. I was very pleased with the final look – and I wasn’t the only one either. I received compliments throughout the evening! Penny arrived early, with plenty of time to do what she needed to do and she put my worries to rest by discussing her plans before she began. The whole time I was with Penny I found she was professional yet friendly and easy to talk to. Most importantly both hair and makeup stayed put all night. I would recommend Penny to anyone! I just wanted to say a huge thank you for the fantastic job you did with hair and makeup for myself, my mum and my sister on my wedding day. You made us all look and feel amazing and we received many compliments on the day. I can’t thank you enough for all of your help and reassurance especially following my very disappointing trial elsewhere. We have just received the official photos and I can’t believe how flawless my skin looks! Our makeup was flawless from start to finish, and I felt amazing – thank you! You were so professional, yet friendly and so lovely, taking on board any changes (even at the very last minute!). Thank you so much for such a wonderful experience, I wouldn’t hesitate in recommending you to others. 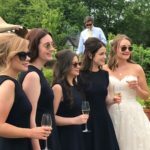 I wanted to say a big thank you for doing mine and the bridesmaids’ hair and makeup. You did the most fantastic job and I felt a million dollars! The hair even survived the convertible car ride to and from the church! We all had so many compliments and that is a huge credit to your skills. Also thank you for your help with zipgate – still can’t believe that happened and I don’t know what we would have done without your carpet thread! Penny is amazing and I cannot recommend her enough. She makes you feel completely at ease and listens carefully as to what look you are after. She arrived promptly and started her magic making myself, my four bridesmaids and my mum all feel amazing on our special day. Our hair and makeup lasted all day (even under the sweaty sun!). Thank you so much! 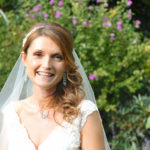 I was so pleased that Penny was recommended to me for my hair and makeup on my wedding day. 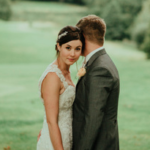 She was professional from the start, paying careful attention to my worries about covering the dark circles under my eyes and wanting my hair styled so that it didn’t look too formal and taking lots of information as to what my dress was like, how much makeup I normally wear, colours I like etc. so as to get my look right! 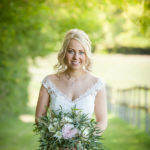 Penny is a warm, easy going person, so made me feel at ease on my wedding morning and every one commented on how lovely my hair and makeup looked. I would recommend Penny if you are looking for someone who is professional and can give you a great look for your special day. Thank you so much for doing my hair and makeup for my wedding! I am still in awe at how you managed to perfectly do not only my hair and makeup, but all five of my bridesmaids’ makeup and my step mother’s! Not to mention brilliantly creating a completely new hairstyle for me after I did a “bridezilla” and changed my mind right at the last minute. It was just what I wanted and couldn’t be more grateful for all your help and patience. Both my hair and makeup stayed in place the whole time and even withstood some rather raucous dancing at the end. I had so many compliments and felt like a princess all day! Thank you again, Penny. Thank you so much for everything you did on Friday! You were so lovely and professional and really put my mind at ease, and my bridesmaids loved you! We had a wonderful day and our makeup and hair was perfect – my bridesmaids were so beautiful and their hair was amazing, I can’t wait to see all the photographs! Thank you so much, I won’t hesitate to recommend you to all of my friends, I don’t think I could have made a better choice.